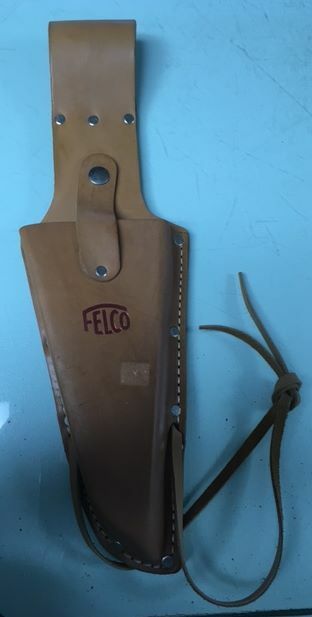 Leather holster with belt loop and clip. Genuine leather. For all pruning shears. Get news, advance notice of sales & timely tips! Your contact information will be used only to send you informational newsletters (or “email blasts”) regarding sales, news, or special offers at Militello Farm Supply, Inc. You can unsubscribe from these newsletters at anytime by clicking the “unsubscribe” link found at the bottom of every newsletter, or by visiting this page. Militello Farm Supply will not sell, share, or redistribute your information with or to any third parties, for any reason. Read More about Privacy on our website.